Buying the right shotgun is simple, if you know what you want. Of course, if you are new to shotguns, buying the right gun will take some research, some shooting, or some talking with those who have more experience with shotguns. 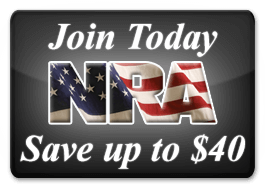 Typically, people are looking to hunt or for home defense solutions. In either case, there are lots of options available when it comes to shotguns for sale in Albuquerque. When you need a gun for bird hunting, there is nothing better than a shotgun. There are many options for hunting shotguns available. Here are a couple we like. The Browning A5 Sweet 16 is an inertia-operated shotgun scaled down to 16-gauge dimensions. The Sweet 16 weighs just under six pounds unloaded, so it is light enough for carrying all day out in the field during hunting season. The barrel is 28 inches long, so it is both long and light, and reviews report that it’s fairly accurate and easy to shoot. It comes in a walnut-stocked model and is reasonably priced. The Remington® 11-87 Semi-Auto Shotgun uses a self compensating gas system, which allows the gun to operate with every type of shotgun shell from light 2-3/4″ loads up to 3″ Magnums without any shooter adjustments. The versatility of the no-nonsense 11-87 Sportsman makes it equally well suited for goose and duck hunting in marshlands, turkey and deer hunting in woodlands, and informal clay pigeon shooting. At the heart of the reliable 11-87 Remington semi-automatic shotgun is a receiver constructed of solid steel, and self-cleaning gas operation system that reduces recoil considerably, allowing the shooter to follow-up on missed birds or shoot multiple targets quickly. The 11-87 Sportsman has a weather resistant, black synthetic stock with textured panels on the fore-end and pistol grip that provide a solid hold in any environment. For home protection, keeping a shotgun handy definitely makes you feel safe and secure. Lots of home defense shotguns are manufactured today, but these are a few we have heard lots of good things about. Mossberg offers over 20 different defensive and tactical solutions. They offer versions with extended magazine tubes, heat shields, integral lights, accessory rails, tactical sights and other accessories. There are also versions with pistol grips and tactical stocks. From a practical standpoint, Mossberg shotguns have several design elements that make them a superb choice for home defense. The top of the receiver-mounted safety is easy to find and manipulate and doesn’t require adjusting the position of your shooting hand. Perhaps most importantly, the shell lifters on the Mossberg pumps remain in the up position when a shell is in the chamber. This allows for faster reloads without the possibility of pinched fingers. Robust design, a variety of options and a 50-plus year history of excellence make the Mossberg 500 line a logical choice for home defense. The Remington 870 is one of the most popular and best quality pump-action home defense shotguns available on the market. This shotgun because it works the first time, every time, flawlessly. Remington outfits this gun with an 18.5-inch barrel and a fixed cylinder choke. It has a seven round magazine capacity and will shoot either 2 3/4” or 3” 12-gauge shotgun shells. It’s even possible to switch out the barrel with a standard one for hunting purposes, making it a good all-around choice. 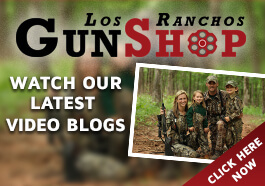 Los Ranchos Gun Shop offers a wide range of shotguns and an experienced team to give you excellent customer service. 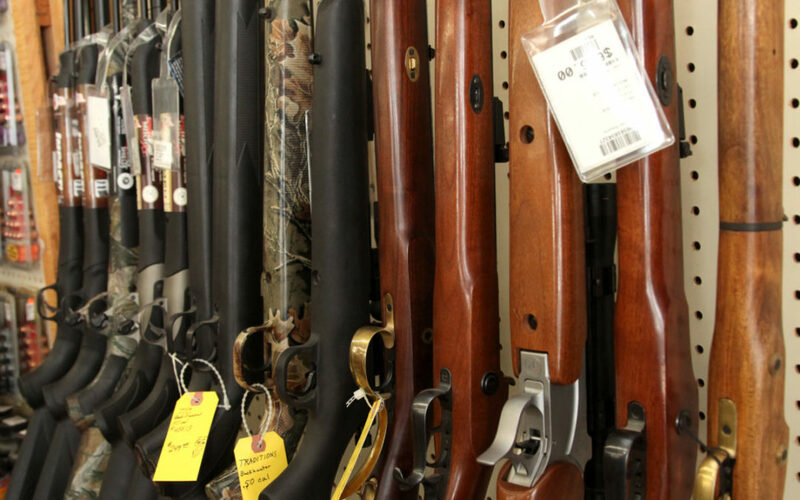 If you need to find shotguns for sale in Albuquerque, come to Los Ranchos Gun Shop, and they’ll help you decide which gun is right for you.